Fraud victims often discover that the fraudster from whom they are seeking to recover is impecunious, bankrupt, or has transferred assets out of the jurisdiction resulting in a cost prohibitive and uneconomic recovery effort. In cases where the fraudster’s ill-gotten gains cannot be frozen immediately, fraud victims are required to look to third parties who assisted in, or benefited from, the fraud. Such third parties may include lawyers, accountants, bankers and other professionals who were actively or constructively involved in the fraud, or who received the fraudulently obtained property. Where the third party professional is actively involved in the fraud, he or she may be sued as a co-conspirator. 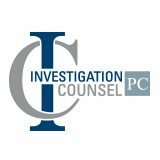 Where there is insufficient information to allege conspiracy, however, a fraud victim may nevertheless be able to assert that the third party professional was a “knowing assistant” to the fraud. To prove the tort of knowing assistance (or “dishonest assistance” as it is known in certain English common law jurisdictions) a plaintiff must first demonstrate that the fraudster stood as a trustee or fiduciary to the fraud victim. If this relationship is established, the plaintiff-victim’s funds may be impressed with constructive trust liability. Liability against a knowing assistant is satisfied where a fraud victim provides the court with evidence that: (a) he or she is a beneficiary to a constructive trust or is in a fiduciary relationship with the fraudster; (b) there was a dishonest and fraudulent breach of fiduciary duty or trust by the fraudster-fiduciary; (c) an accessory or third party professional assisted or participated in the fraudster’s dishonest and fraudulent breach of fiduciary duty or trust; and (d) the accessory or third party professional had actual knowledge (which may include recklessness or wilful blindness) of the fiduciary or trustee relationship, and of the fraudster’s dishonest and fraudulent breach of the fiduciary duty or trust (see Air Canada v. M.& L. Travel Ltd.,1993 CarswellOnt 568,  3 S.C.R. 787 (S.C.C. ), at paras. 32-41.). The Courts have noted that the terms “dishonest” and “fraudulent” in this context are equivalent in meaning. Additionally or alternatively, a plaintiff- fraud victim may allege against a defendant-accessory the tort of “knowing receipt”. Knowing receipt arises where a defendant-accessory may not have actively conspired with the fraudster, or assisted the fraudster, but who, in his or her own right, received property deriving from the fraudster’s breach of duty or trust, knowing that the property or benefit received had derived from such breaches of duty or trust. Liability for knowing receipt is established where a plaintiff- fraud victim provides the court with evidence that: (a) he or she is a beneficiary to a constructive trust or is in a fiduciary relationship with the fraudster; (b) the funds (property) received by the defendant-recipient, in his or her personal capacity, were taken from the plaintiff fraud victim by the fraudster in breach of trust or fiduciary duty; (c) the defendant-recipient had constructive knowledge that the funds or property received were transferred in breach of fiduciary duty or trust; and (d) the defendant-recipient did not take the victim’s property as a bona fide purchaser for value and without notice. On this last prong of the test, the defendant-recipient is taken to have notice where the circumstances of the transfer would have caused a reasonable person to make inquiries as to the source of the funds, but where the defendant-recipient failed to make such reasonable inquiries (see Gold v. Rosenberg, 1997 CarswellOnt 3273,  3 S.C.R. 767 (S.C.C. ), at paras. 40-53). While a claim for knowing assistance may require allegations of fraud as against the primary and accessory defendants, a successful claim for knowing receipt does not require proof of the recipient’s dishonesty. Rather, a knowing recipient is liable to account for and restore the property that he has received, having constructive knowledge that such property derived from the original breach of trust or fiduciary duty. The level of knowledge of the recipient of trust property is constructive where he possesses “knowledge of circumstances which would indicate the facts to an honest person, or knowledge of facts which would put an honest person on inquiry” (Air Canada v. M. & L. Travel Ltd., at para. 41). Fraud victims are often concerned that lawyers retained by fraudsters are in knowing receipt of their funds, and that their own funds are being dissipated in order to finance the fraudster’s defence. Where there is evidence to support this concern, the fraud victim should put the fraudster’s lawyer on notice. Through a tracing remedy, it may be possible to trace the victim’s funds into accounts owned or controlled by the fraudster’s lawyer. Norman’s practice is focused on fraud recovery litigation for retailers, insurers, private companies and individuals who have incurred losses to rogue employees, officers or directors, or due to failed investments or contractual arrangements with ill intentioned third party service providers or others. Norman also provides Independent Supervising Solicitor (ISS) services for other law firms that obtain Anton Piller orders (civil search warrants). Norman practice also consists of representing police and private sector investigators in criminal, civil, and regulatory actions. Norman is counsel to the Canadian Association of Special Investigation Units, the Canadian Independent Adjusters Association and the Canadian Association of Private Investigators on fraud and investigation matters, and on the board of directors of the Association of Certified Forensic Investigators of Canada. Previous post: Want to sell your property? Dont forget the Legal Bits!